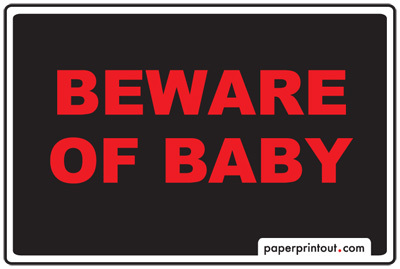 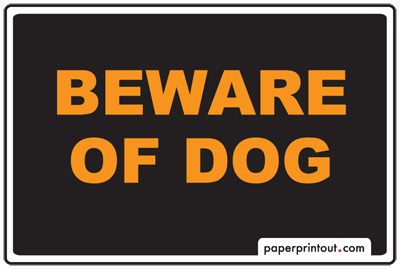 If your looking for a printable beware of dog sign, you probably have a problem. 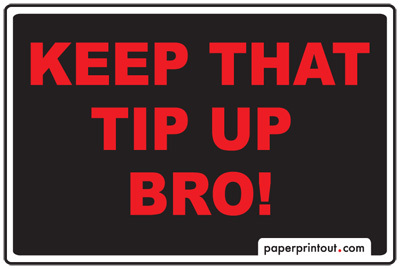 Your dog bit someone and your looking for a free sign to hand in your window to avoid liability. 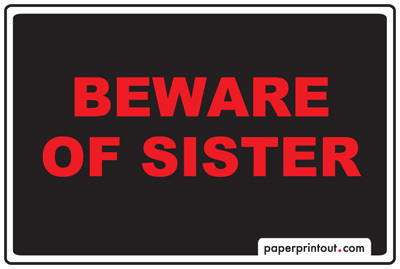 First, get a leash, then come back here to Paper Printout to find your regular old practical Dog Beware Of Signs (nothing too fancy, but gets the point across), but you may also want to print out one of our funny beware of sister or brother signs to hang up. If you have a worm with an attitude, a bird with a mean streak, or a fish that just won't give it up, we've got them covered with a free sign to print too (good luck with that).